Having information about how, when and why consumers seek to contact organisations through digital assistants and chatbots and understanding why they are gravitating towards doing so is critical to achieving the full potential of conversational commerce, according to Barclaycard’s managing director of future payments Nick Kerigan and director of future payments Sanjaya Shrestha. It is less a case of whether conversational commerce will take off and more one of how quickly the technology powering the conversational tools that facilitate it can adapt to meet the needs of a wide consumer base, they write in an in-depth paper now available to download from NFC World’s Knowledge Centre. 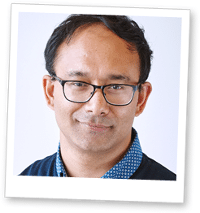 Conversational technology offers the most potential to payments companies because it offers consumers a new way of managing their finances, doing their shopping and interacting with businesses, Kerigan and Shrestha explain in ‘Let’s talk payments: How conversational commerce will shape the way we pay’. The paper explores the rise in digital assistants and chatbots and how they are becoming “staples of a modern company”, before taking a look at two use cases — Amazon’s Alexa and the Facebook Messenger Chatbot — and how they are changing the way consumers interact with businesses and retailers today. “We are already seeing a huge variety of conversational tools become embedded in everyday services, in both social and commercial settings,” they write. 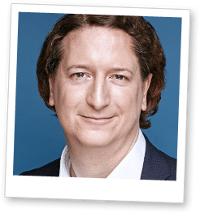 “With both customers and businesses seeing the benefits of these tools in buying and selling, their role is only set to increase and the race is on for organisations to offer their version of commerce through them. 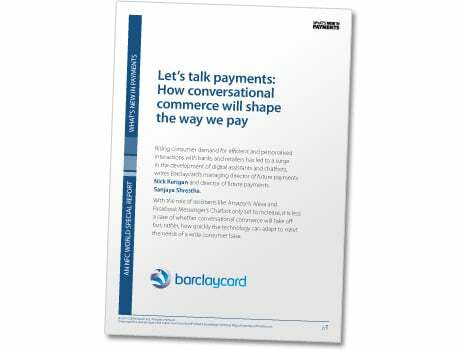 Readers can download Barclaycard’s eight-page paper, which provides a wealth of insight into conversational commerce and the future of digital assistants and chatbots, free of charge from the NFC World Knowledge Centre. • This sponsored document is part of What’s New in Payments, a 104-page special report from NFC World that explores and explains the latest payment trends and technologies. You can download the entire report here.